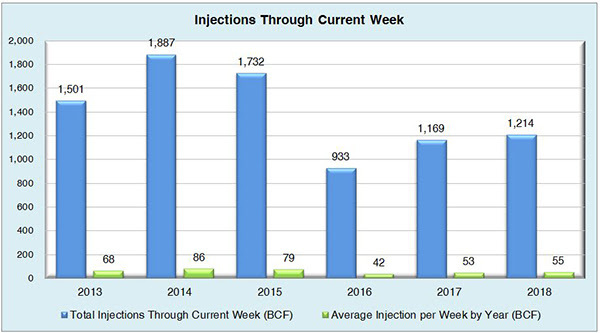 As expected, the injection of 63 Bcf for this week fell right in line with what the market was looking for at 62 Bcf. On top of that, this unsurprising build ended up in the same vicinity of last year’s value and the five-year average, which were reported at 60 Bcf and 65 Bcf respectively. 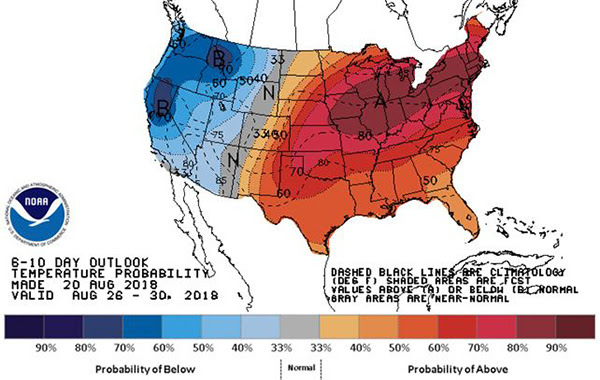 It is certainly apparent that shoulder season is in effect already, and the decrease in demand across the Lower 48 projected for the second half of September due to cooler weather patterns is a contributing factor as well. 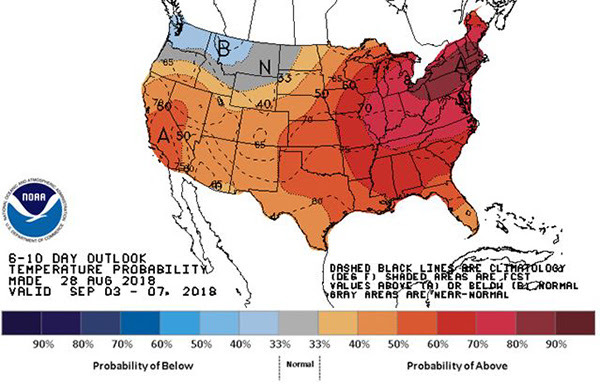 NYMEX could continue to trade sideways for the next couple of weeks, but it seems that bearish sentiments are already starting to dictate the final weeks of injection season, especially with the possibility of storage inventories hitting triple digits near the end of this month and into October. 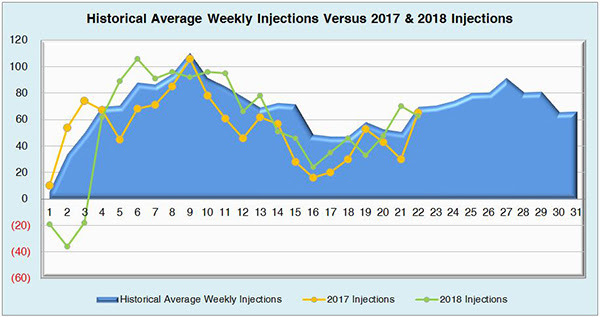 The Winter NYMEX months (December, January, and February) have all dropped under $3/MMBtu as of the recent injection, and that trend doesn’t seem to be slowing down. 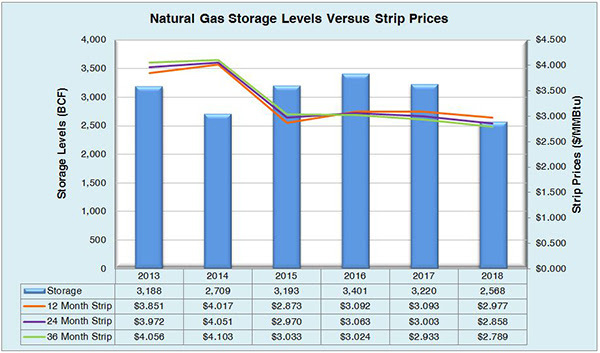 Working natural gas in storage currently stands at 2,568 Bcf, which is 643 Bcf (20.0%) lower than this time last year and 590 Bcf (18.7%) lower than the five-year average. The October 2018 NYMEX Futures price began the day around $2.79/MMBtu prior to the report’s release, but has since dropped to $2.77/MMBtu after the report was posted.